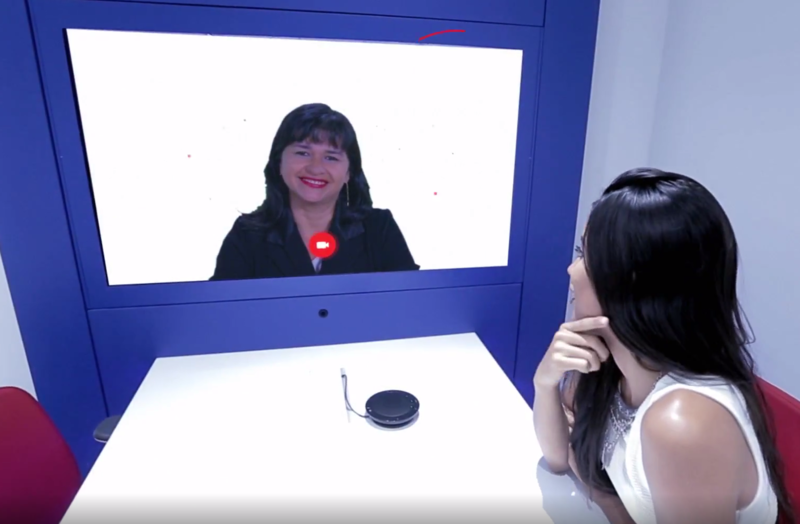 Employees have been bid farewell as Brazil-based Banpará Bank has implemented TrueConf’s video conferencing solution into its first branch. The solution offers automated customer service and all the work is performed via ATMs, interactive kiosks and remote call agents. In this project, TrueConf and Voxel Digital say they built a system to connect call centres and automated meeting rooms. Voxel Digital acted as integrator and says finding a right solution was a “long process”. The bank’s video conferencing infrastructure is powered by TrueConf Server, while TrueConf Terminal is used to equip endpoints. The integrator adds that it developed a customised interface based on TrueConf API. PCs connected to video panels serve as conferencing endpoints. During the call customers can see the agent’s video on the panels, while in standby mode bank adverts and data sheets are displayed on the screen. According to the firms, the system does not feature a screen interface, and the customers need to press one button to initiate the call. Calls from the automated branch are forwarded to any available agent. All calls are recorded on the TrueConf Server installed in the bank’s data centre.